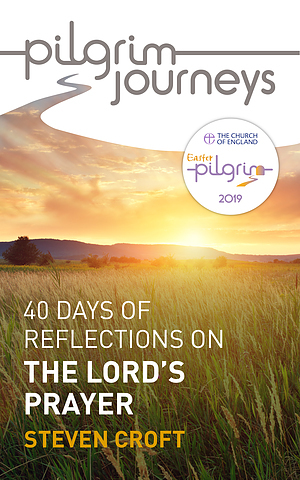 Guiding you through The Lord's Prayer in a 40-day Lent journey, Easter Pilgrim 2019 is the Church of England's official Easter guide for this year. Join the Church of England's 2019 EasterPilgrim journey - an ideal preparation for Thy Kingdom Come. Pilgrim Journeys: The Lord's Prayer takes you on a 40-day journey through the prayer Jesus taught his followers - one which continues to shape the lives of Christians across the world. Each day provides you with a short Bible reflection, an invitation to pray and a suggestion for responding to the vision of the Lord's Prayer itself. The Pilgrim Journeys booklets are ideal daily companions for anyone seeking to grow in the Christian faith. They are suitable for those preparing for baptism or confirmation - including those using the Pilgrim discipleship course - but can be used by anyone at any stage of their Christian journey. Easter Pilgrim 2019: The Lord's Prayer - Pack of 10 by Steven Croft was published by Church House Publishing in January 2019 and is our 760th best seller. The ISBN for Easter Pilgrim 2019: The Lord's Prayer - Pack of 10 is 9781781401187. Be the first to review Easter Pilgrim 2019: The Lord's Prayer - Pack of 10! Got a question? No problem! Just click here to ask us about Easter Pilgrim 2019: The Lord's Prayer - Pack of 10.